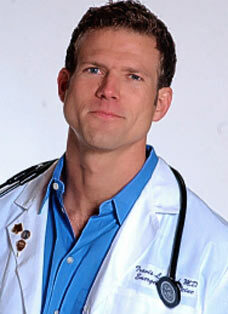 Travis Stork, MD., from The Doctors is coming to The Tampa Convention Center! Hi Tampa Bay, who is familiar with the Emmy- nominated series The Doctors? If so, Alex here with some exciting news! Travis Stork, MD., from this series will be in Tampa on November 1, 2011 at the Tampa Convention Center from 11:30 AM- 1:30 PM. Come get some pointers from Travis Stork on how to improve your health, feel stronger, and more energetic and on how to live longer. Even if you haven&apos;t watched this show, but you are interested in your health and/or on getting healthy this is a great event for you! Go tell all your friends, because we don&apos;t want anyone to miss out. Ticket start at $75. To purchase tickets online visit, www.uch.org/travisstork. Get your tickets today! For more information contact Nikki Powers at 813.615-7663 or npowers@mail.uch.org. Check back with us next week for information on Things To Do in Tampa Bay!